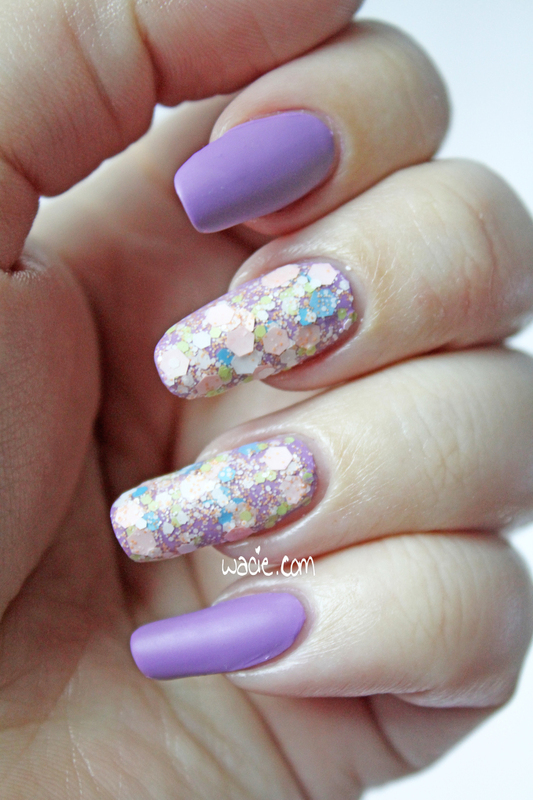 First Swatch Saturday with nubs! 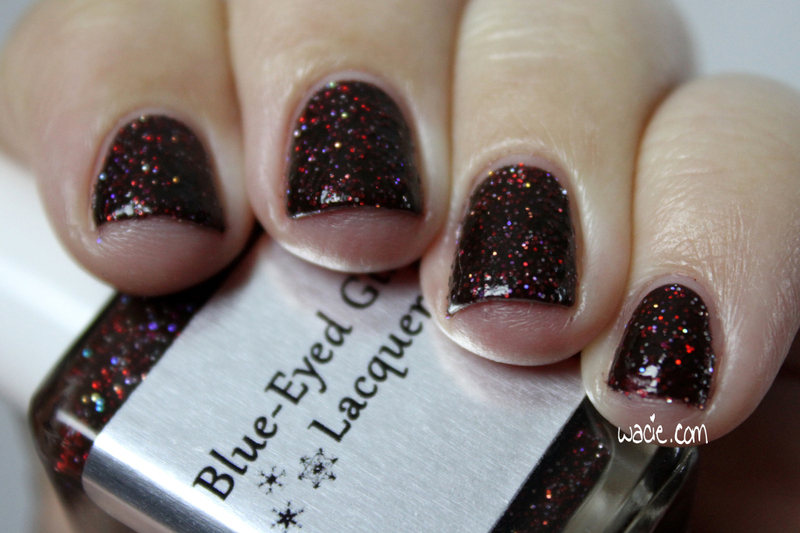 For this Saturday, I’m wearing another Blue-Eyed Girl Lacquer holiday limited edition called Newborn Solstice Sun, made to celebrate Yule. 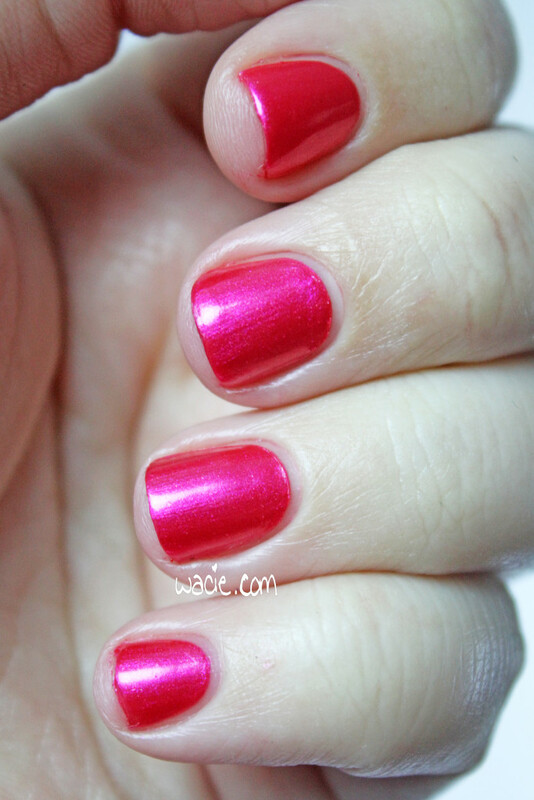 I’m wearing three coats of Newborn Solstice Sun with one coat of Ciate’s Speed Coat Pro top coat. 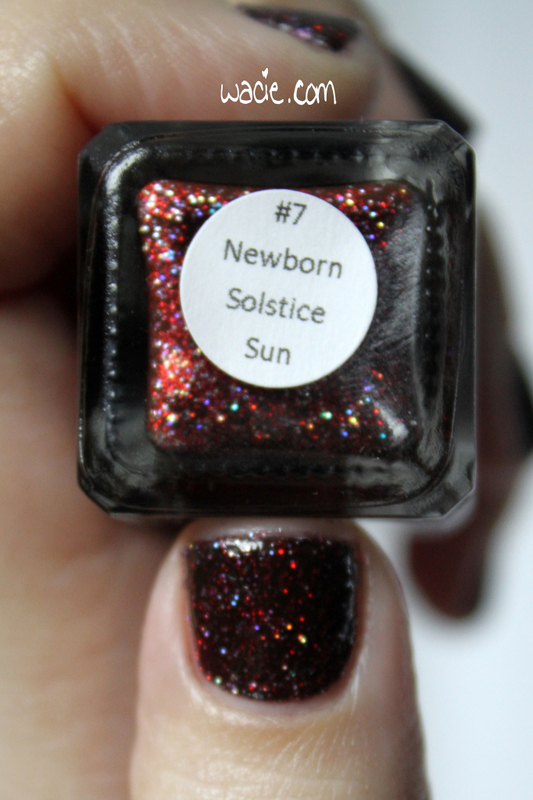 Newborn Solstice Sun is a garnet jelly polish with silver and red holographic microglitters. 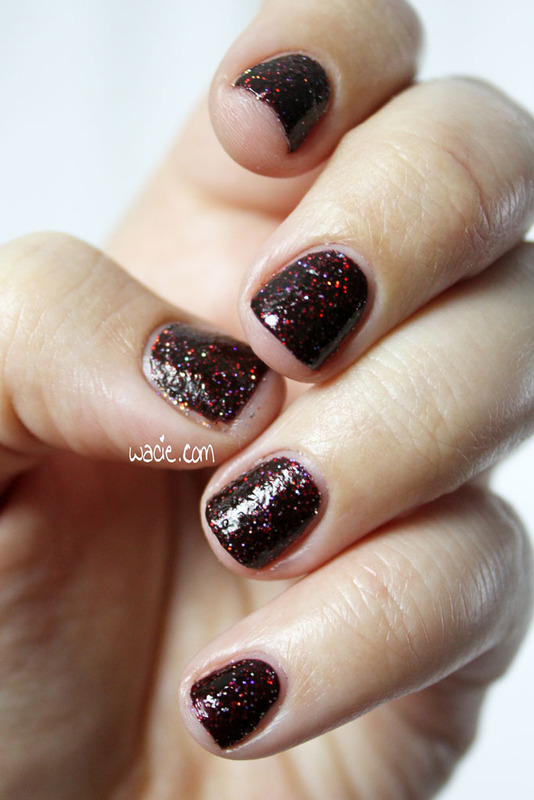 The jelly is quite dark, but the glitters shine through easily. In very bright light, you can see all the way through the jelly and see the bottom layer of glitter; in lower light, it’s murky, and though the glitter isn’t as defined, the shine is still there. 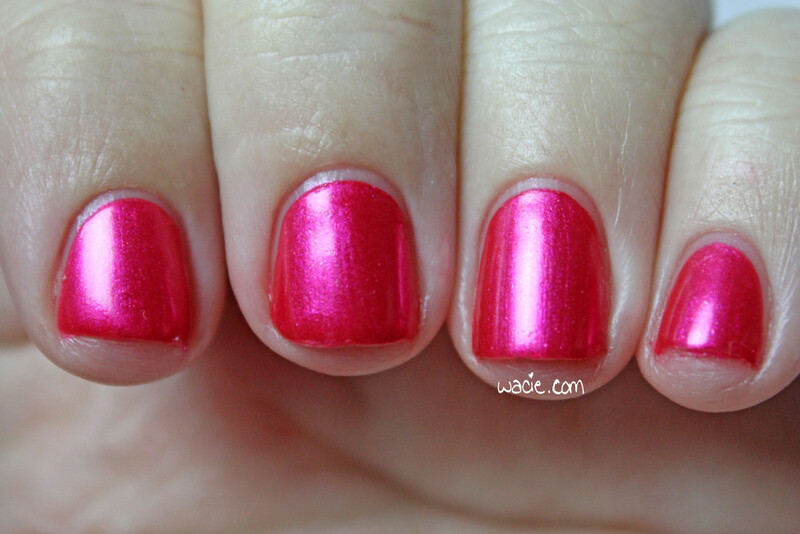 Application was smooth and easy; the polish dried very quickly, in about five minutes, and with a matte textured finish. 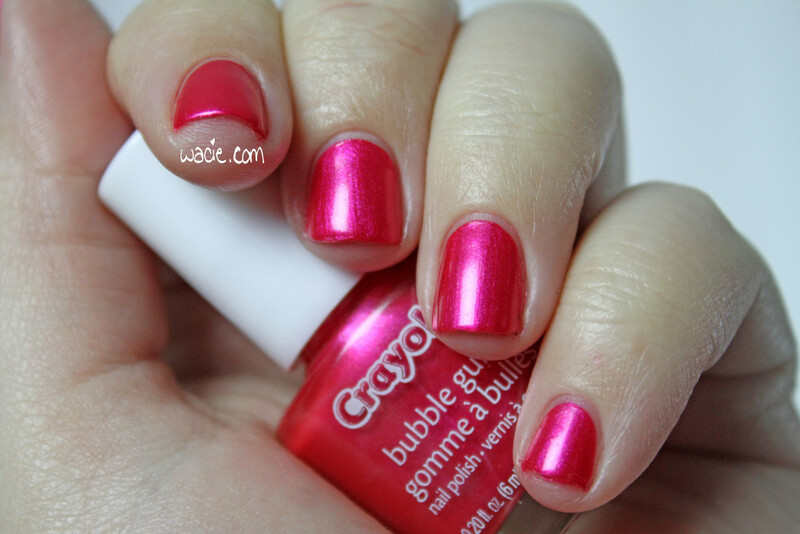 As you can see, it’s still bumpy, even with a layer of top coat. I thought about adding another, but didn’t want to risk shrinking or pulling. It could definitely use another. 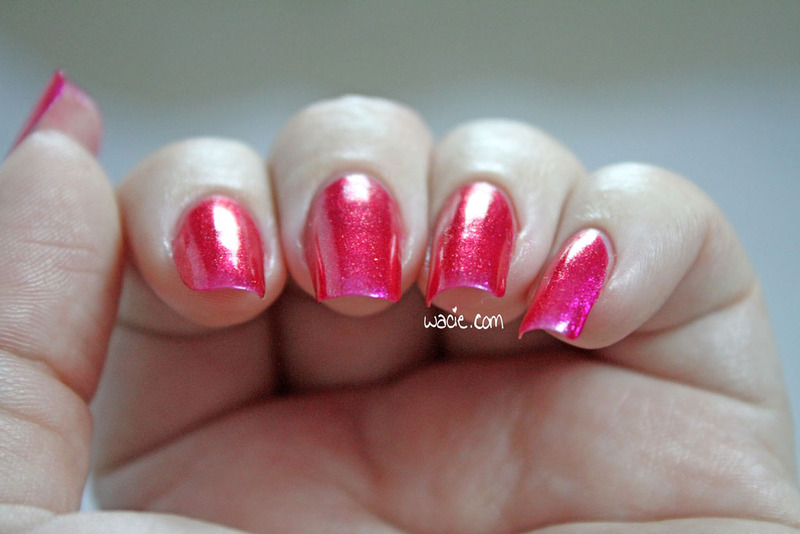 While Yule has many traditions rooted in early Germanic paganism, this polish takes its name from Wicca tradition. Yule celebrates the Horned God, who is reborn as the new Sun God on the winter solstice. This is the last of the BEGL holiday limited editions. There’s actually a Hanukkah-themed polish that is absolutely gorgeous, and it’s the only one of them I don’t have. Like the others, it’s been discontinued and is no longer available in the BEGL shop. A shame, really. 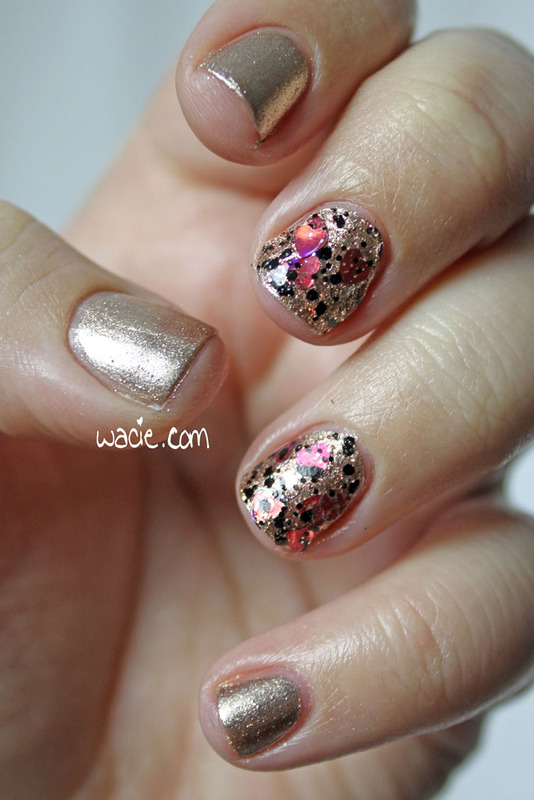 Here’s this week’s Manicure Monday, and possibly my last mani before Christmas. I’m accidentally festive, too! 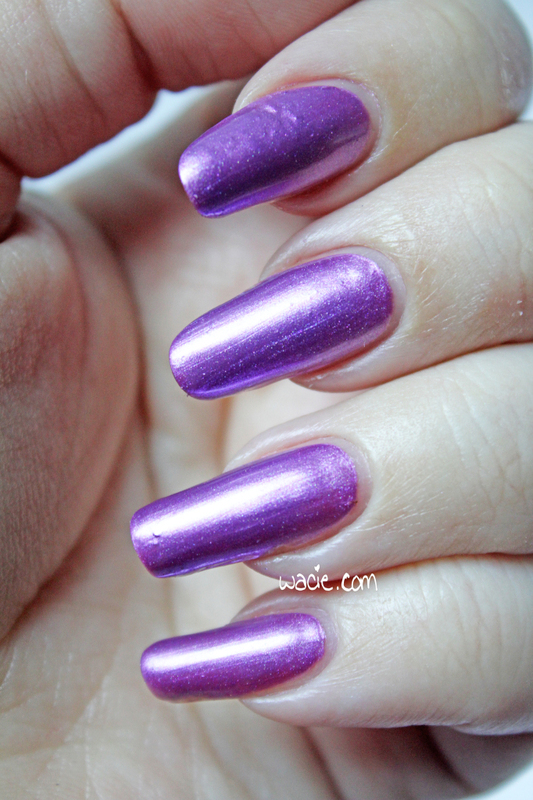 For this mani, I’m wearing two coats of Julep’s Zelda, one coat of Model City‘s Love Hurts, and one coat of Ciate’s Speed Coat Pro top coat. 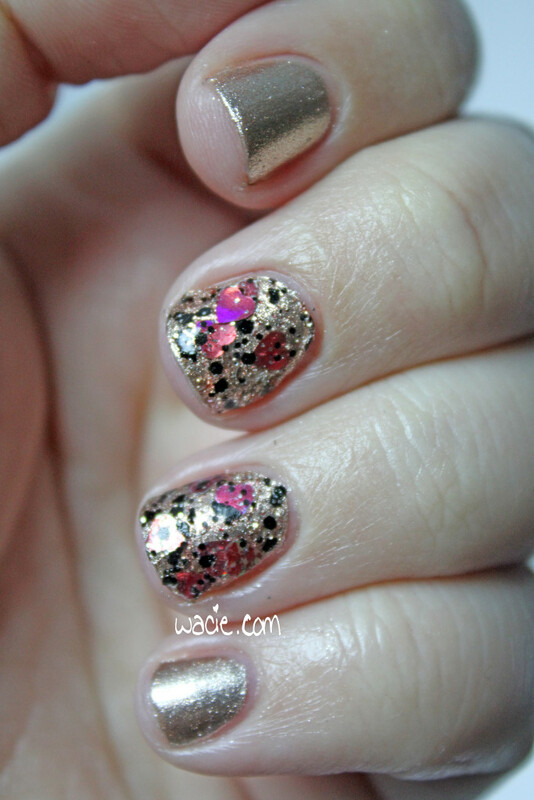 Zelda is a cool champagne metallic polish. 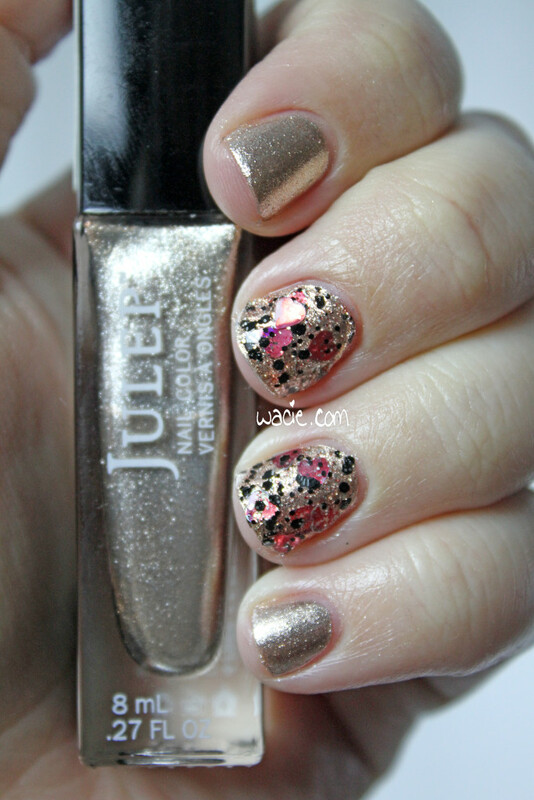 It is probably the best Julep polish I’ve ever used. 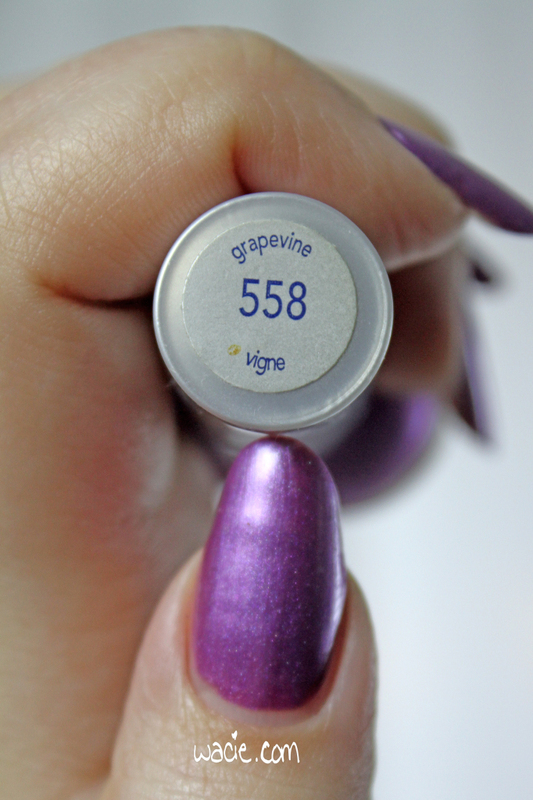 I got opaque and even coverage in one coat, and it was dry to the touch in about five minutes. The consistency was perfect, and it dried with a shiny foil finish. 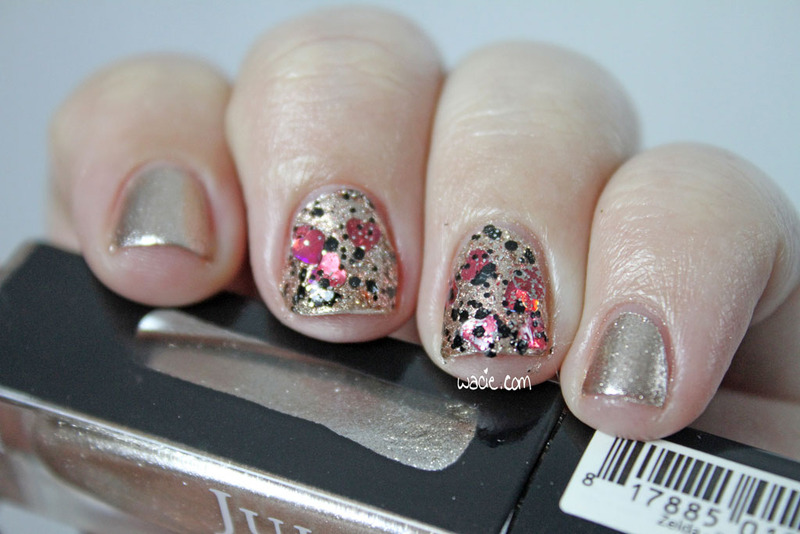 I wish every Julep polish was like this. It’s so easy to apply and wear. 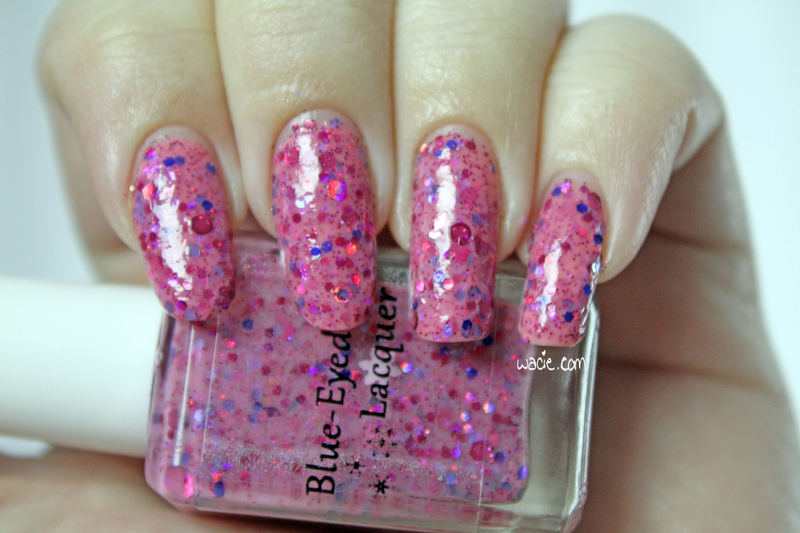 Love Hurts is a clear glitter topper with black glitters, some fine silver glitters, and holographic red hearts. 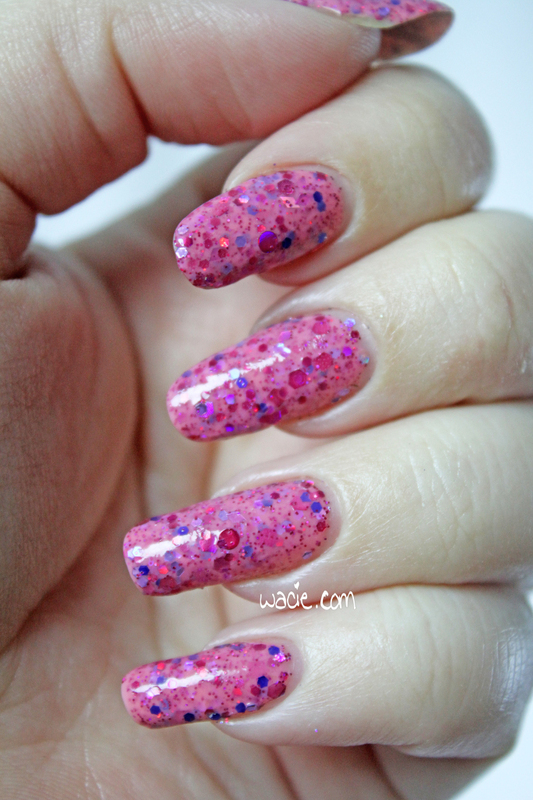 The glitter distribution with this one is really nice; I got tons of hearts on the brush when I dip in, way more than I wanted, which rarely happens. I had to dip in a few times, just to get the black and silvers. 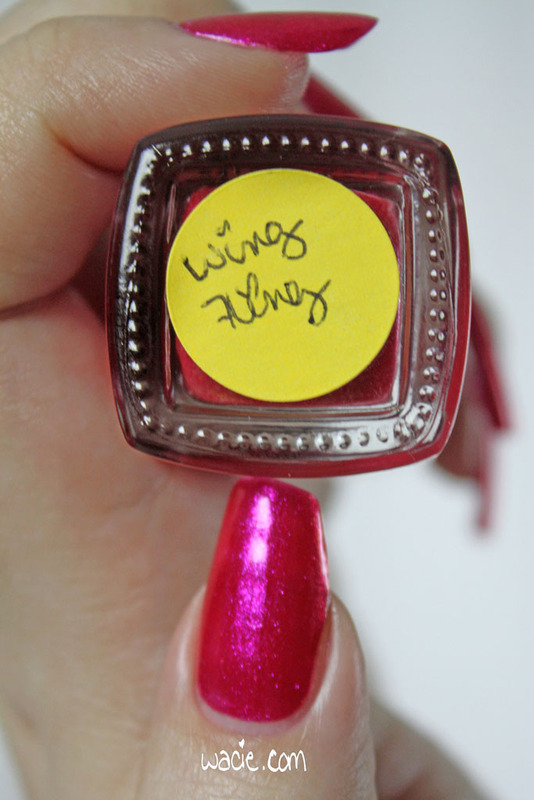 The consistency is pretty nice; it wasn’t too thin or too thick, and it dried pretty quickly. 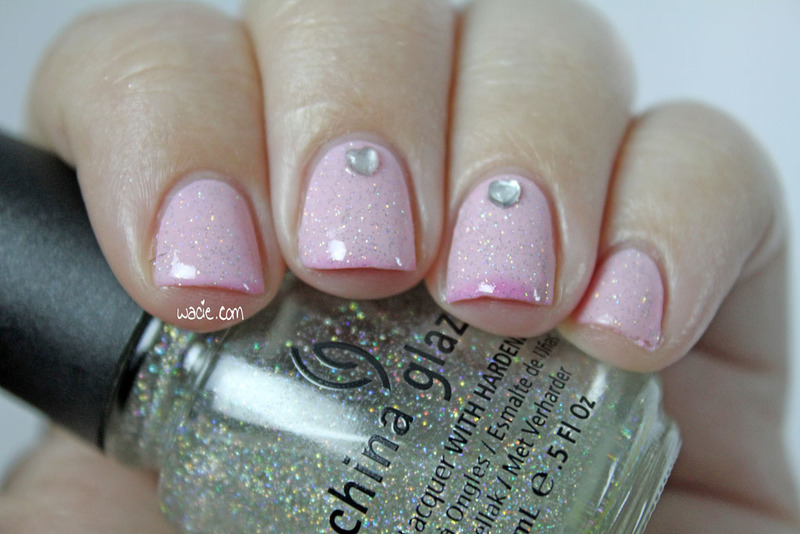 My one issue here is that the heart glitters seem to be losing their color. It’s not bleeding into the lacquer, but it looks like some came off onto my nail. It’s too bad, but it’s kind of cool, like stylishly distressed jeans. You can get Zelda from Julep.com, or from anywhere Julep is sold. Unfortunately, Love Hurts has been discontinued by Model City and is no longer available. 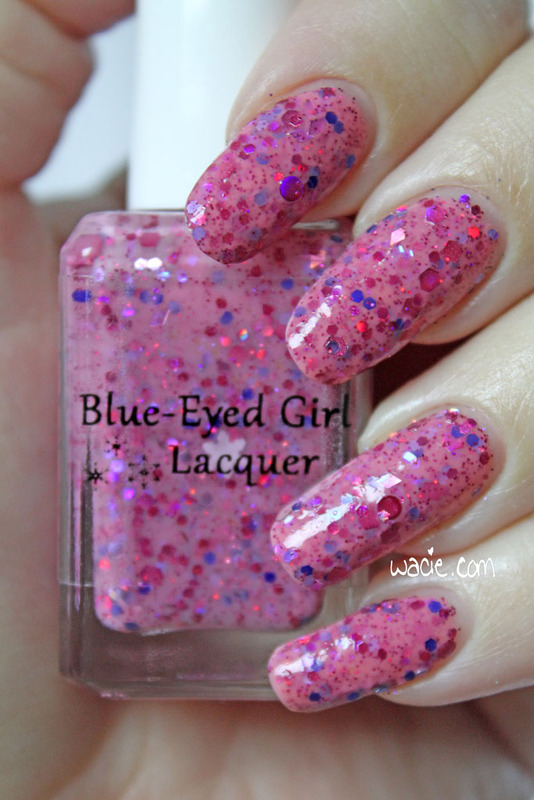 For this Swatch Saturday, we’re looking at a selection from Blue-Eyed Girl Lacquer‘s 2013 Winter collection. 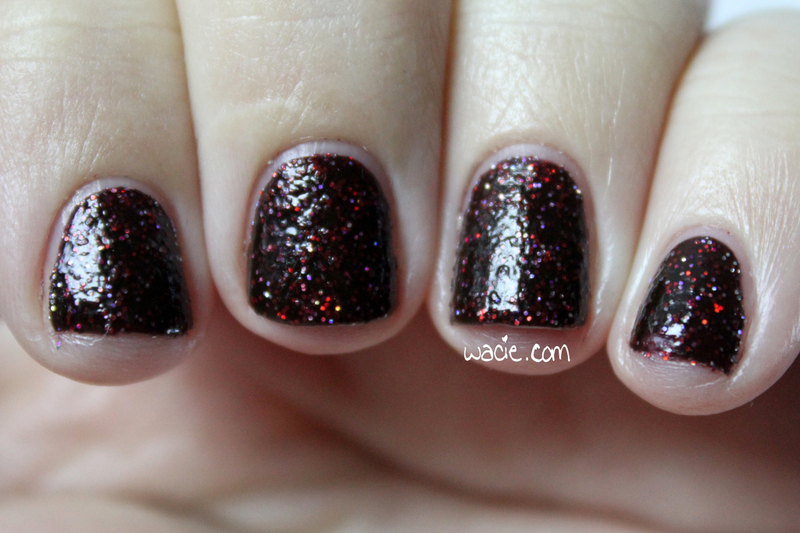 I’m wearing Tacky Winter Sweater at three coats with one coat of Ciate’s Speed Coat Pro top coat. BEGL describes Tacky Winter Sweater as “light pink based polish with sapphire hexes, holo violet hexes, and holo bright pink hexes, diamonds, and dots, purple iridescent hexes, and light pink snowflakes”. 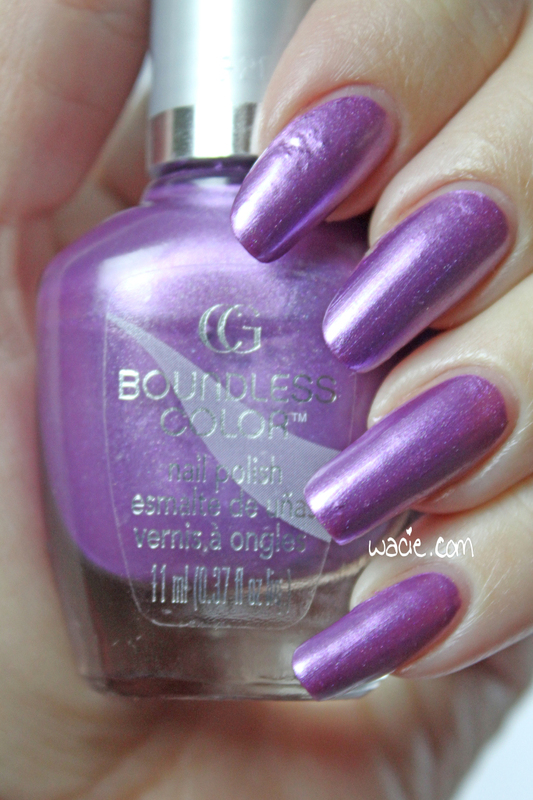 It’s somewhere between a jelly and crelly; it’s creamy, but still very sheer, and all the glitters show nicely through. 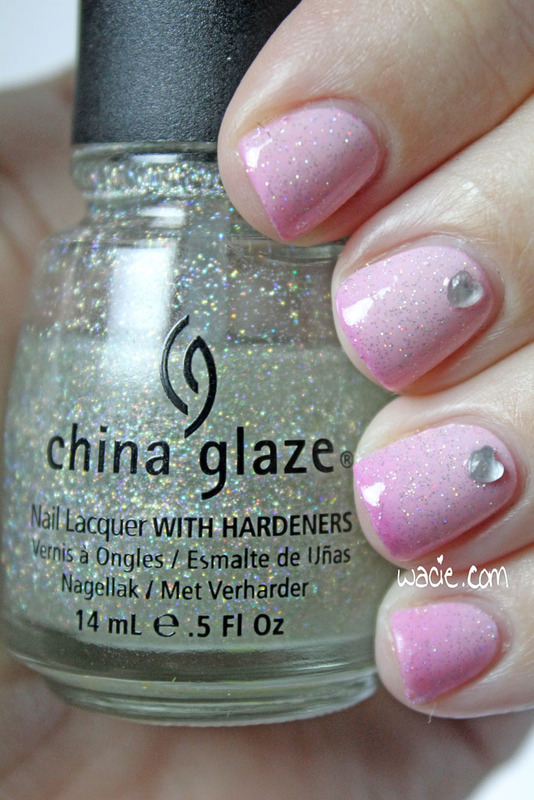 Application was very easy; the glitters spread well over the nail, and the sheer base gives even and streak-free coverage. Drying times were fantastic; I had no problem with dents or smudges. My one issue is that I couldn’t get any snowflakes. I really tried; I stood the bottle upside-down, I shook the bejeezus out of it, and I got one that ended up on my right hand. They’re all just hanging around the walls of the bottle, mocking me. 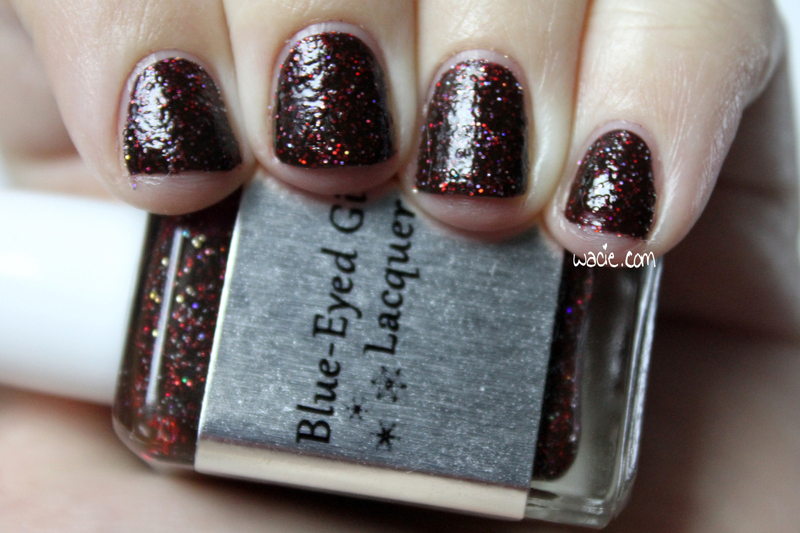 This was definitely my favorite from the BEGL winter collection. 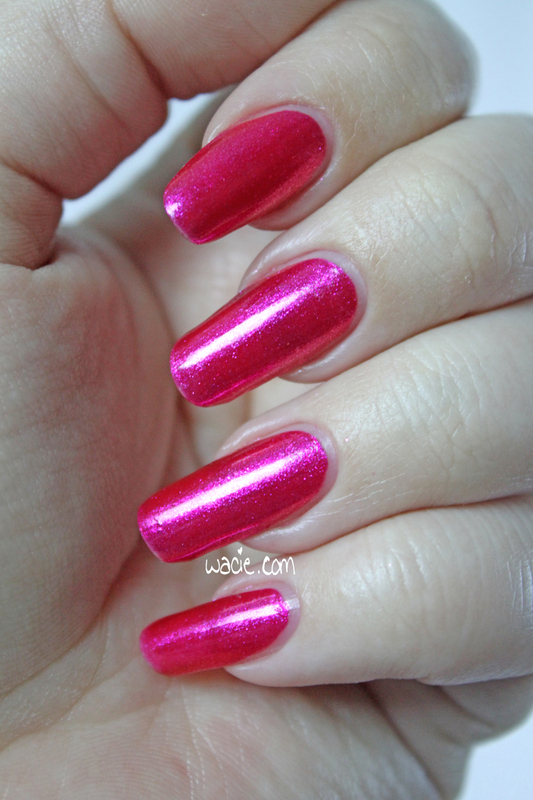 None of the polishes in that set were overtly holiday-themed, but this one was definitely the most unconventional of them all. 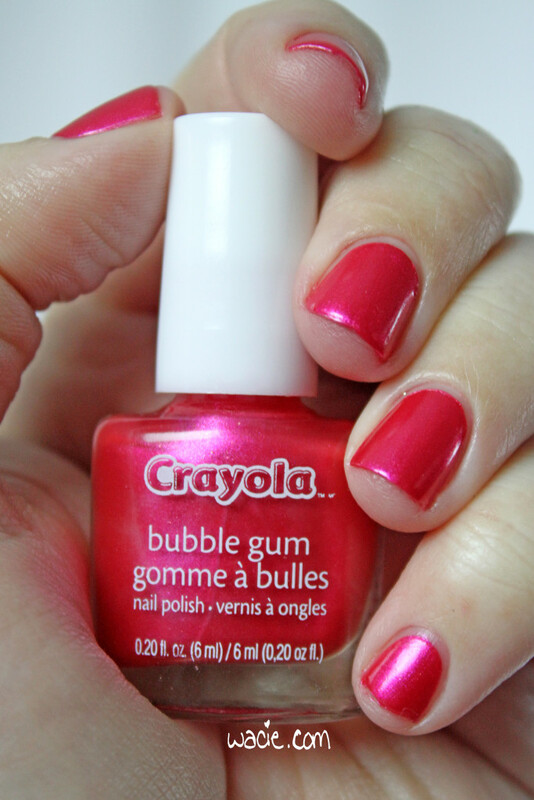 Also, I admit that I went for this one first because it was pink. 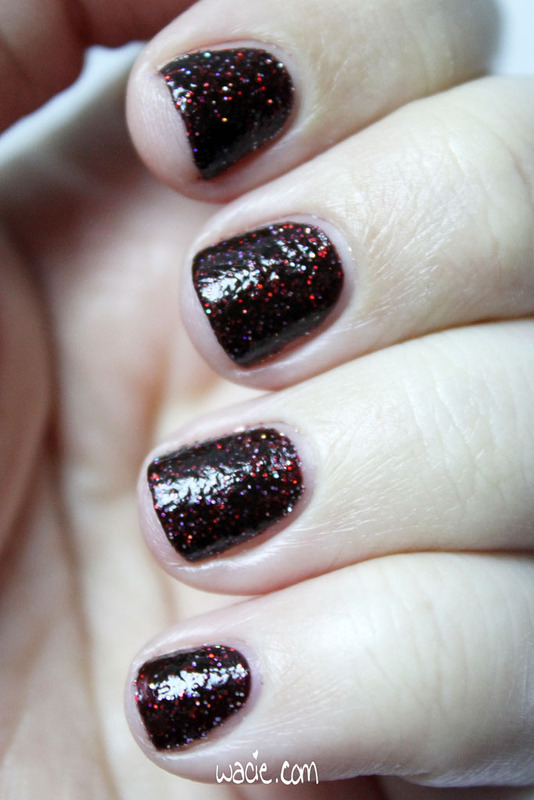 It’s so unlike a winter polish, but it’s no less festive or shiny than its wintry counterparts. Unfortunately, you just missed out on buying one of these for yourself. While this was my favorite from the collection, it was not the favorite of anyone else, and it sat neglected in the BEGL shop for a year before it finally sold out last week. When it came up in the queue, I thought “Yes, I’ll finally be swatching something that’s actually still for sale.” I’m sad I didn’t get to say that, but I am happy it finally sold out. 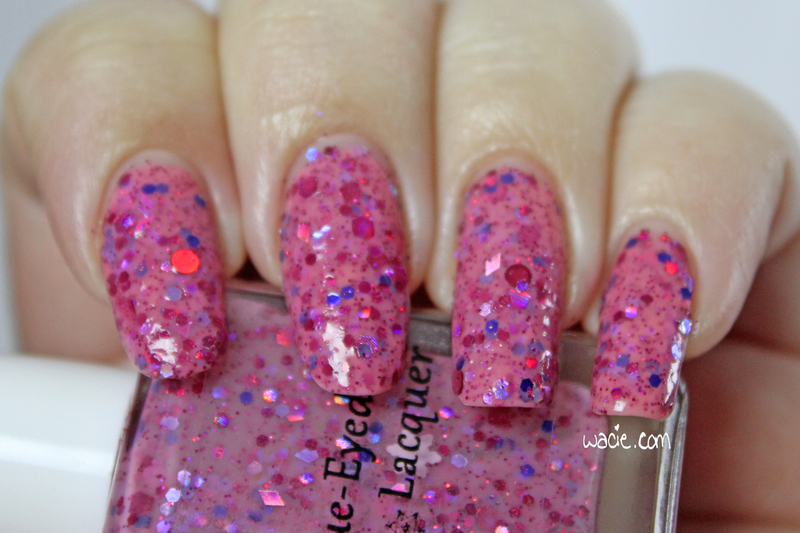 Swatch Saturday is here again! 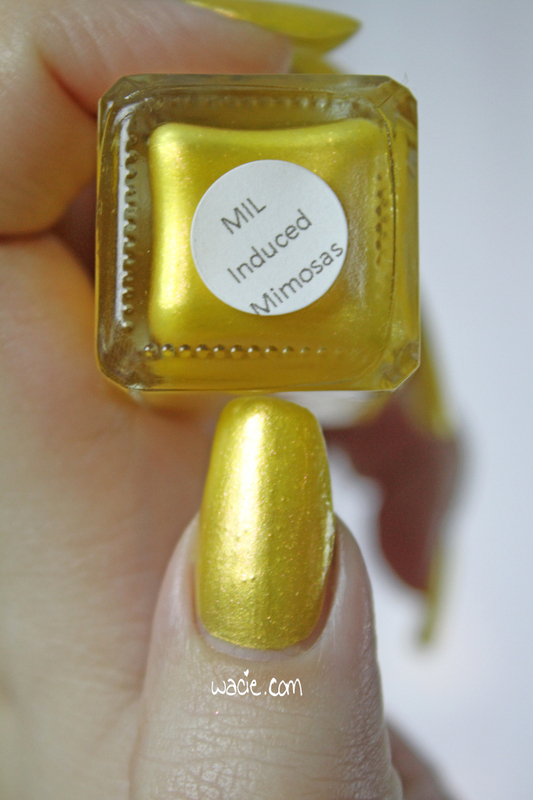 We’re looking at a beauty called MIL-Induced Mimosas. 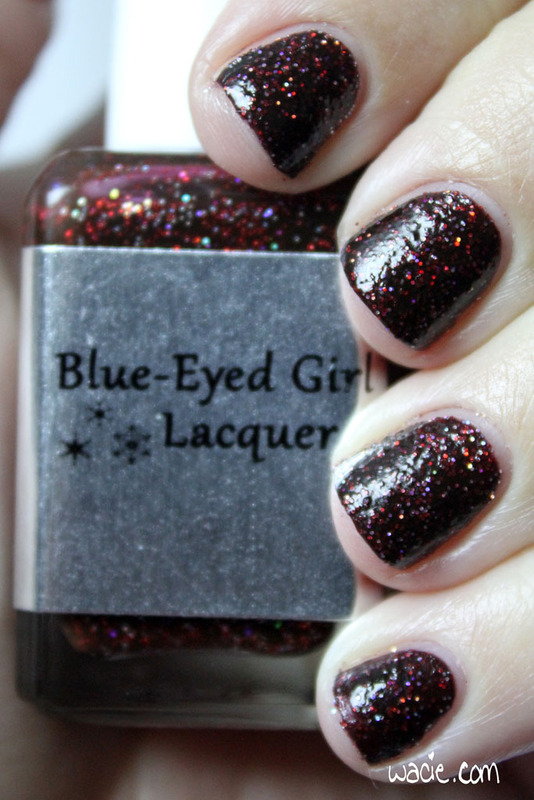 Last autumn, Blue-Eyed Girl Lacquer released a Thanksgiving-themed duo. Here’s half of that duo. I’m wearing three coats of MIL-Induced Mimosas with one coat of Ciate’s Speed Coat Pro. 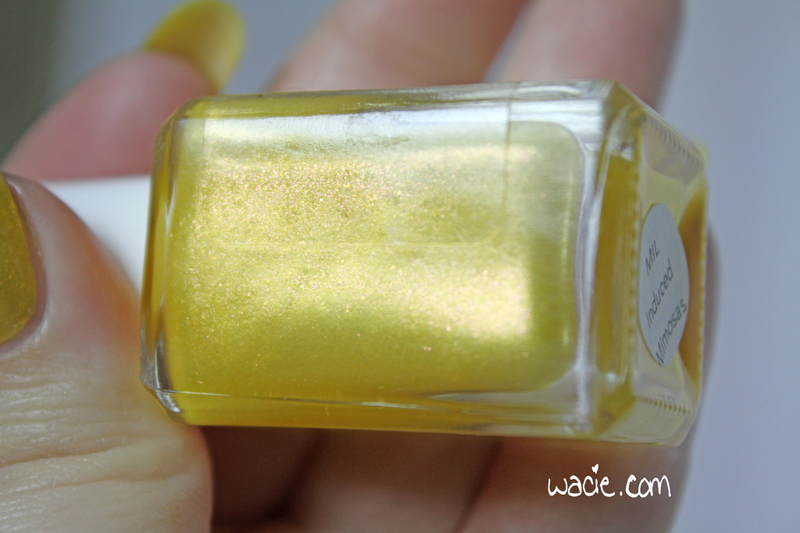 MIL-Induced Mimosas is a golden yellow with red shimmer. 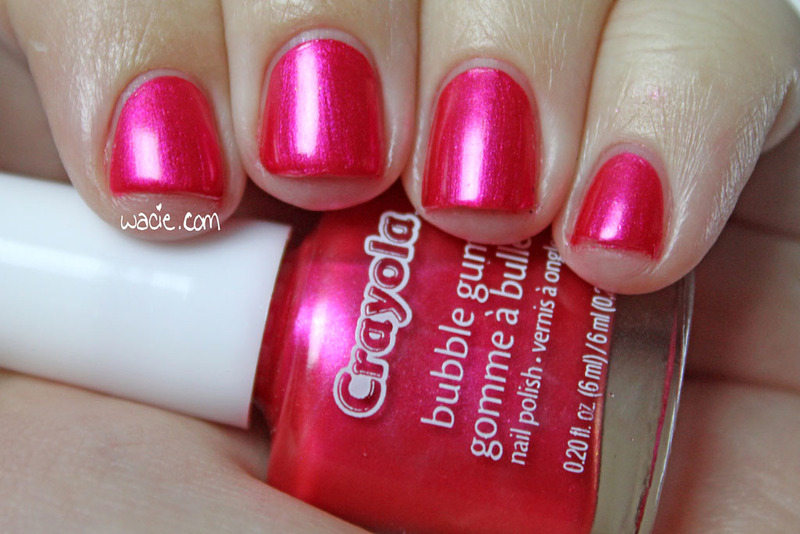 The polish itself is on the sheer side, and definitely required three coats for full opacity. A fourth might even do it some good. 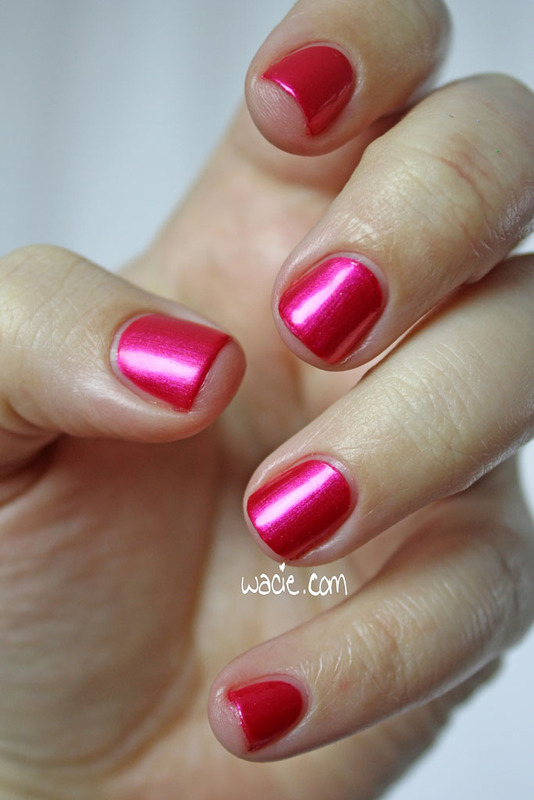 It dries very quickly, and with a semi-glossy finish. It was very easy to apply and clean up. 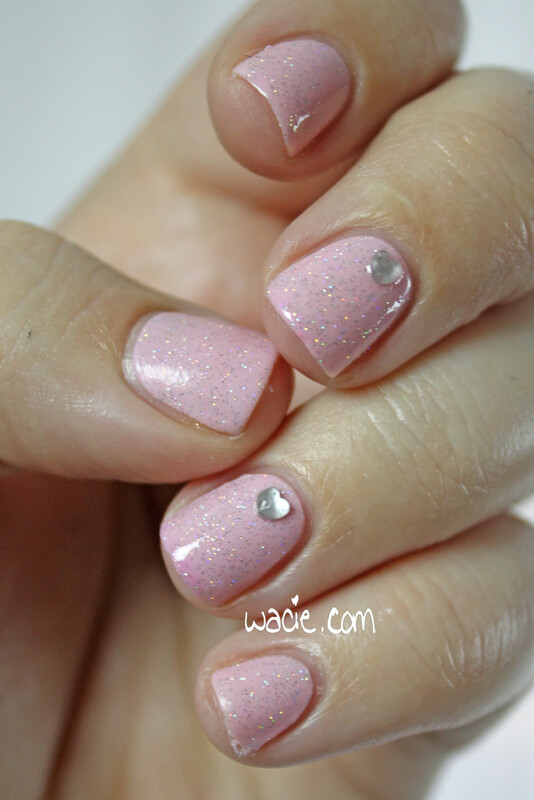 The shimmers stand out very well. I really love this polish. I love that it’s inspired by insufferable relatives and holiday stress, by that slender glass full of fizzy relief, by the calm and courage only champagne and orange juice can bring. 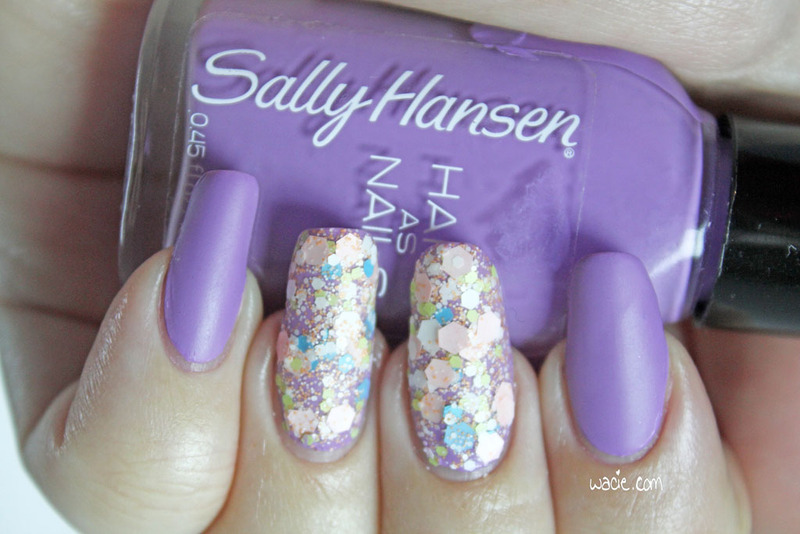 Even though it has an autumn theme, this polish could be worn any time of year, especially in the summer. 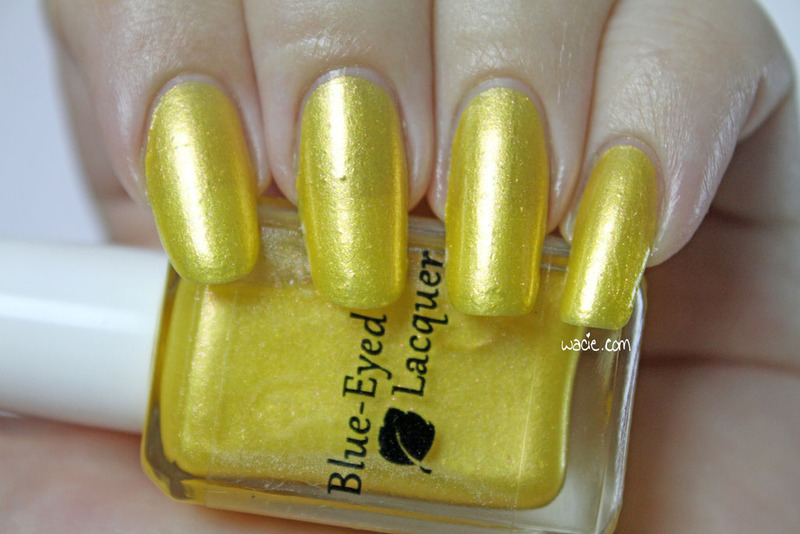 It’s a vivid, sunny, cheerful color, which is kind of funny considering mothers-in-law do not have that effect on people. 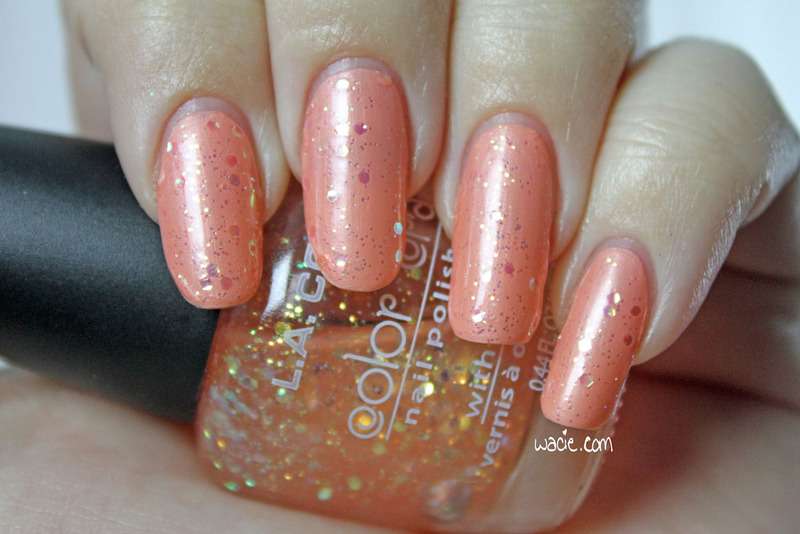 One little detail I absolutely adore about this polish: it is exactly the same color as a mimosa! 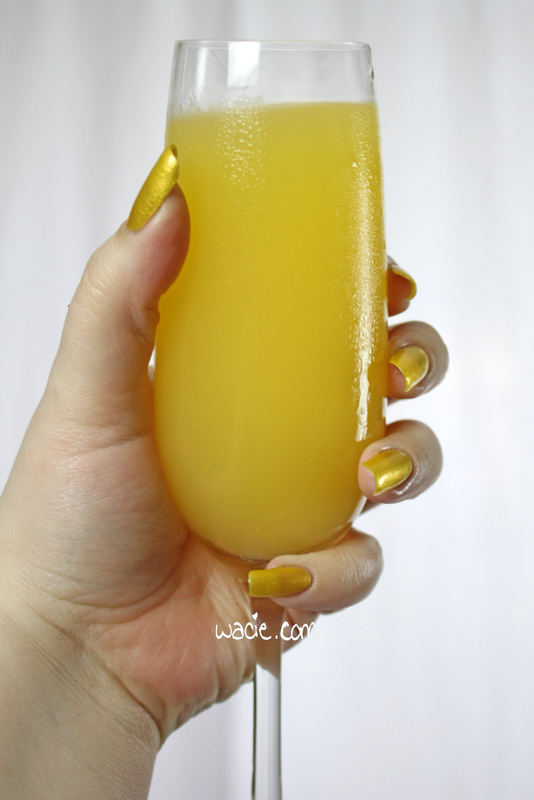 Painting with my nails with this polish made me want a mimosa, so I made one; lo and behold, it is exactly the same color as orange juice. I don’t know how Julie, the mastermind of BEGL, pulled this off. I am blown away that it is just the right shade of orange juice yellow. It is simply incredible. 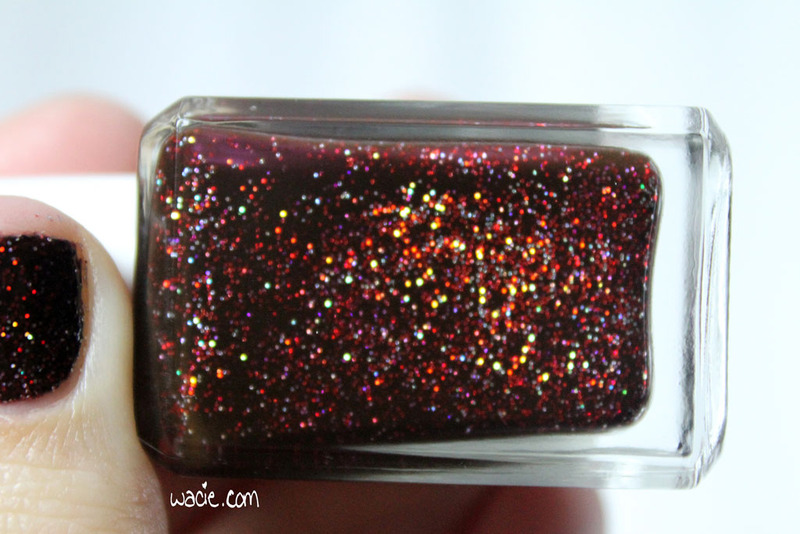 As I said, MIL-Induced Mimosas was part of a fall duo; Turkey Coma, a festive fall glitter topper, was also available. Unfortunately, I do not have Turkey Coma. Also, MIL-Induced Mimosas is discontinued, which is sad for you. 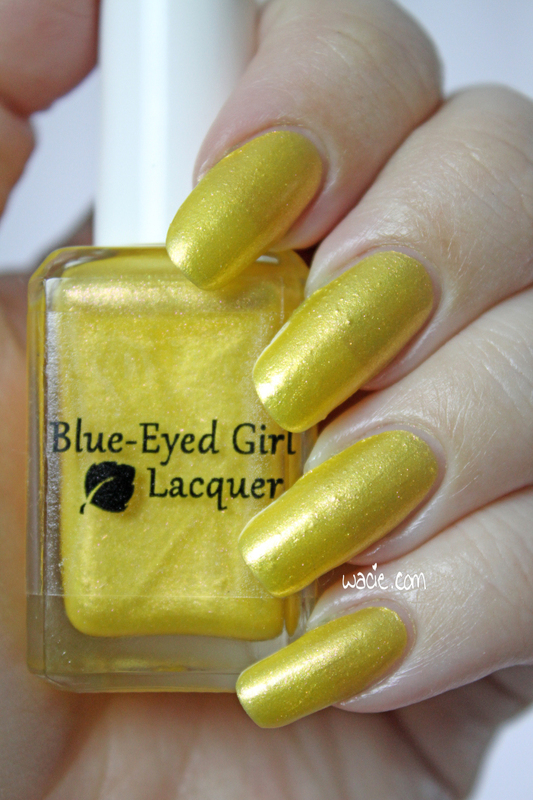 If you like yellows, though, you may want to check out Intersecting Lines in the Sand from BEGL’s summer collection. It’s not a perfect dupe for a mimosa (I made another mimosa, just to check), but it’s definitely my favorite from that particular collection.